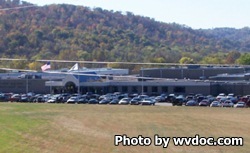 Northern Correctional Facility is a maximum security prison located in Moundsville West Virginia that serves two purposes; It houses long term inmates for the West Virginia Department of Corrections, and acts as a region jail housing inmates awaiting trial. Inmates are housed in either general population or segregation is they have violated any rules. The current capacity of Northern Correctional Facility is 253 male offenders. Inmates at Northern Correctional Facility are provided basic and necessary medical, dental and mental health service. Some inmates are selected to work jobs within the institution working in the kitchen, laundry and in custodial maintenance. Visits at Northern Correctional Facility are by appointment only. You must call the facility during regular business hours to schedule your visit.